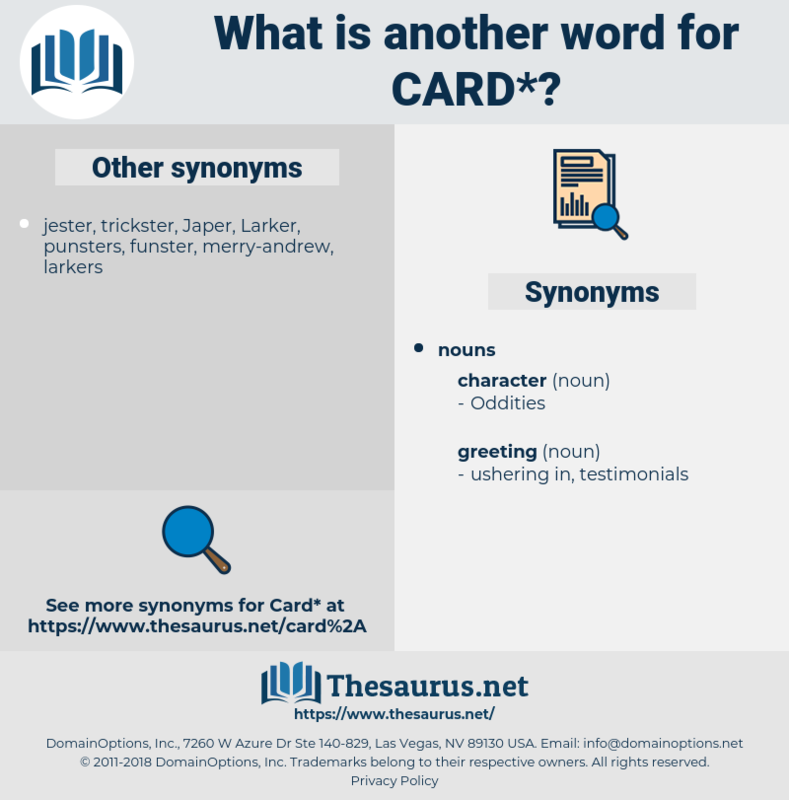 What is another word for card? A piece of cardboard bearing a name, etc., or symbols for use in play. Securities, tags, SDS, DUI, cartes, Maps. badges, charters, blades, Boundaries, sticks, Maps. coordinates, nuts, CARNET, motherboard, mapmaker, passport, badge. He didn't know what was on the card; but he takes a chance.
" 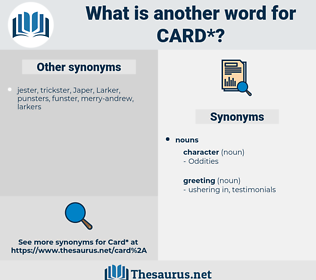 Come in and Talk It Over," said one card. trading card, punch card, Tarot, punched card, tarot card, Hollerith Card, playing card. postcard, mailing-card, sympathy card, postal card, post card, get-well card, greeting card. check, ensure, assure, see to it, insure, see, control, ascertain.